APUN - Action Patent Use Number. APUN 1168 --- The 1168th action built under the protection of this patent. Engraved on top of the receiver ring of an Alex Henry single shot rifle. 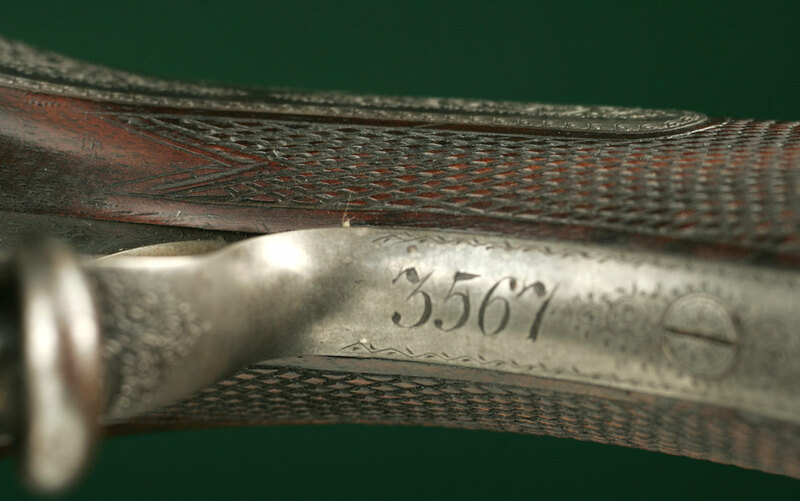 The regular serial number of the rifle engraved on the triggerguard tang, separate from the APUN. APUN - Action Patent Use Number. 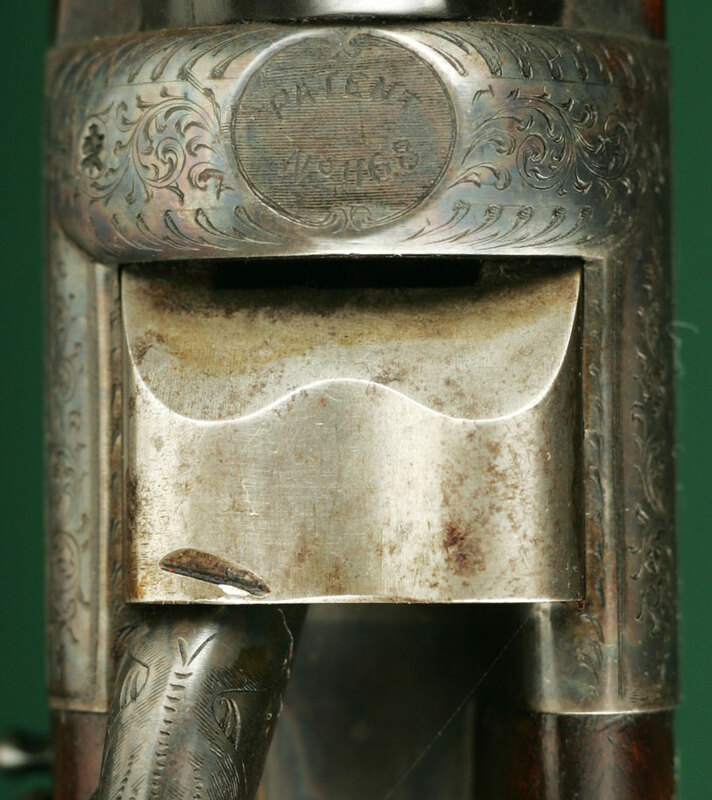 Under patent law during the period of greatest creativity in the British firearms trade (circa 1860 - 1910) gunmakers typically numbered each patented component with its own number of use of the patent (not the number of the patent itself as registered with the patent office as in the USA)---irrespective of the serial number of the firearm.